We do not need to go out and find love; rather, we need to be still and let love discover us. It is lovely to meet an old person whose face is deeply lined, a face that has been deeply inhabited, to look in the eyes and find light there. Behind your image, below your words, above your thoughts, the silence of another world waits. When one flower blooms spring awakens everywhere. One of the most beautiful gifts in the world is the gift of encouragement. When someone encourages you, that person helps you over a threshold you might otherwise never have crossed on your own. 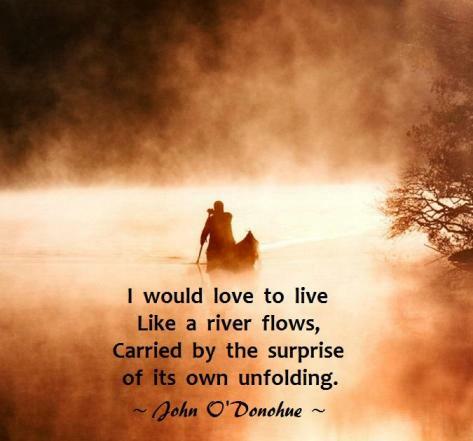 John O'Donohue was an Irish poet, author, priest and Hegelian philosopher. He earned degrees in English, Philosophy, and Theology at St Patrick's College, Maynooth. He was ordained as Catholic priest on 6 June 1979. He received his PhD in philosophical theology from Eberhard Karls University, Germany. In 1990, he returned to Ireland to continue his priestly duties, and began his post-doctoral work on the 13th century mystic, Meister Eckhart. 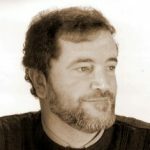 He wrote several books include: Echoes of memory (poetry), Anam Cara, Eternal Echoes, Conamara blues (poetry), Divine Beauty, Benedictus, To Bless the Space Between Us, and The Four Elements (essays).